Al Di Meola (born Al Laurence Dimeola July 22, 1954 in Jersey City, New Jersey) is an American jazz fusion and Latin jazz guitarist. Having a musical career that has spanned more than three decades, he continues to be one of the most influential guitarists in the jazz fusion category. Albums such as Friday Night in San Francisco have often been cited as some of the most influential live albums ever recorded. Numerous have earned their place as legendary recordings for the practicing guitarist. 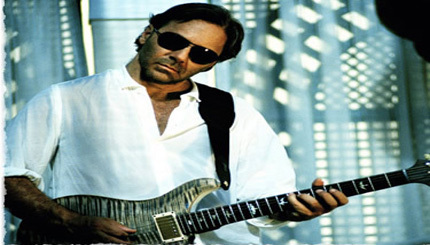 Di Meola grew up in Bergenfield, New Jersey, and attended Bergenfield High School. He is now a resident of Bergen County, New Jersey.